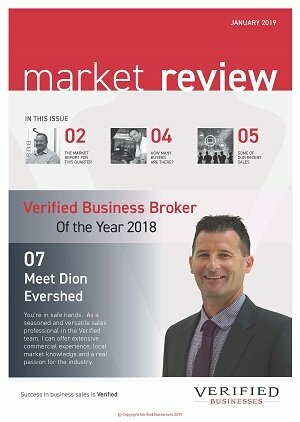 Business for sale on the Sunshine Coast – Craig Campbell 0419 747 709 of Verified Businesses has pleasure in presenting this outstanding home-based business for sale. This specialised home-based business, is very profitable, has little competition, loads of ongoing work and yet still plenty of growth potential. The current owners established this unique service business 14 years ago, have done all the hard work and are now putting it up for sale for the first time as they wish to move into semi-retirement. It has 98% repeat work from existing clients and turnover has increased by 70% per annum since 2014. Operating throughout Australia in both metro and regional areas, this business uses the latest technology and has a proven track record of providing great service outcomes. The business services a wide range of clients with 76% of its client base being situated in SE Qld. This includes power/electrical and water, infrastructure organisations, manufacturing, mining, gas, larger retail, property and rural industries. This specialist Thermography Company provides proactive maintenance to detect hot spots, which is a non-intrusive option for business, as it measures infrared and electromagnetic radiation. The business has a natural advantage, being uniquely positioned by the ‘superior service elements’ it delivers, the in-demand service it provides across a diverse set of industries, the strong repeat client base it possesses, and the growth potential it has as the population increases and as more building and infrastructure development takes place. This is an attractive investment for a new owner, as the current owners have developed and established the great profile the business has today, and with consistently increasing profits and turnover in past few years, the business has all the necessary plant and equipment to continue operating for many more years to come. With a professional website, all the systems in place and great financial records that demonstrate growth and profit, which your accountant and bank will love. It’s perfect for a new owner or working couple who wish to reap the benefits of a flexible home-based business and would ideally suit those familiar with electrical trades or an electrician who has an inquiring mind, has good attention to detail and takes pride in his/her work. It would also be perfect for an existing Electrical Contracting Company wishing to diversify and expand their client base. This business rare business opportunity provides lucrative returns for an owner’s time therefore, a closer examination of this business is highly recommended without delay!